TIKAPUR, Jan 24: Haphazard stone mining from rivers and export to other districts have started affecting infrastructure projects in Kailali district. 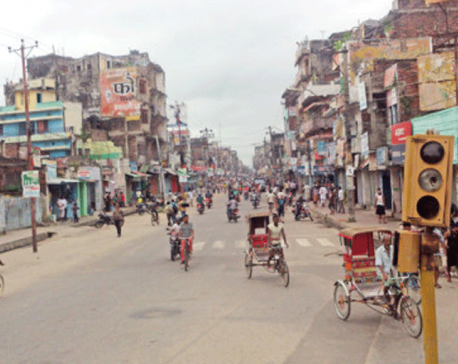 Several mega projects like Rani Jamara Kulariya Irrigation Project, Attariya-Dhangadhi-Mohana six-lane road project and Hulaki Rajmarga, among others, are under different phase of construction in the district. Likewise, several other smaller projects are being implemented in the district, while construction of private homes is also on the rise. Supply of stones extracted from Karnali River to other districts has affected the Rani Jamara Kulariya Irrigation Project at a time when the second phase of the project is about to begin. Works under second phase include construction of embankment at Mohana, Pathraiya, Kanda and other small rivers, according to Sushil Chandra Acharya, chief of the project. “We need huge quantity of stones for the second phase works. If stone smuggling continues at this rate, we will soon face shortage of stones. Such activity should be stopped quickly,” he added. Water level is receding due to haphazard stone mining in the river, say stakeholders. Not only the irrigation project. Several other projects are also being affected due to lack of stones. Formation of local governments has given a boost of development works in the district. Construction of buildings, roads, bridge, embankments, and other infrastructure is going on in full swing. Officials fear increasing smuggling of stones out of the district could affect these projects. Realizing the gravity of the situation, all the local governments in the districts earlier jointly submitted a memorandum to the District Coordination Committee (DCC), asking it to stop smuggling of stones. The DDC put a ban on stone extraction immediately. However, Garud Construction, which holds the contract to mine sand and stone from the Karnali River banks, filed a case against Dhangadhi DDC, Attariya Municipality and Lamki Chuha Municipality as well as mayors of the two municipalities. Though the court is sub judice, the contractor has not stopped river mining and supplying aggregate to other districts. Stones extracted from Karnali River are being used to build embankment on Babai River in Bardiya district. 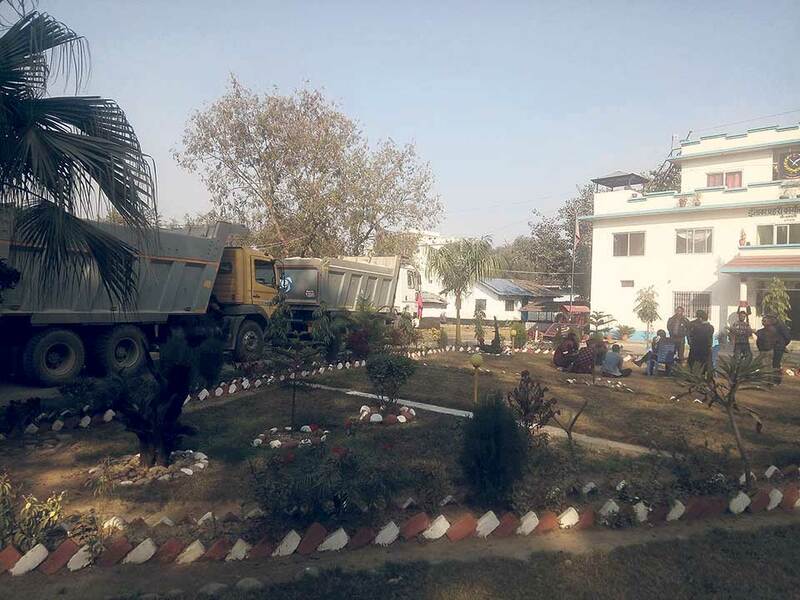 As the contractor was supplying stones to other districts via Tikapur, Mayor of Tikapur Municipality, Tapendra Bahadur Rawal, asked the local police office to do the needful for controlling smuggling. “Local resources should be used by the locals only,” he added. Mahadev Bajgain, mayor of Lamki Chuha Municipality, also said that such activity was affecting development projects at the local level. “How can we arrange stones for our project if we fail to stop smuggling now?” he questioned.